LAYAWAY PLANS NOW AVAILABLE – We are now offering “Layaway Hunts” to our customers. Hunters can put any amount down for a future hunt and continue to make payments from time to time. This makes it a lot easier to save up for those hunt trips. The layaway program is not intended for specific animals we may be listing on our current specials. 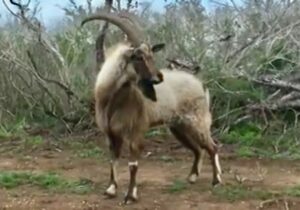 For more info or questions about layaway hunts, please call/text 361.533.1068. 1. 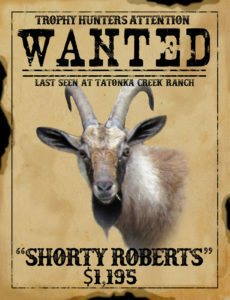 Ibex Goat (Shorty Roberts) – We just added this bad hombre to our MOST WANTED list…Good looking Persian Ibex cross we call SHORTY ROBERTS! $1,195 w lodging! 2. Deer Decoys – We have a few Deer decoys available for sale. Both are does and in really nice shape. Very sturdy plastic and realistic look. Work great to bring in those bucks real close! Priced at $45 and $40 each. 3. Blackbuck – Super nice blackbuck that is available for $1895. 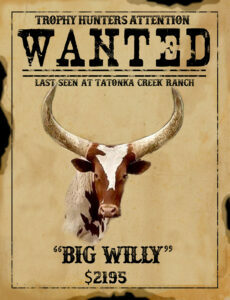 He is in a pasture where we don’t want him so he must go SOON! Take advantage of this special offer! Text/call 361-533-1068. 4. 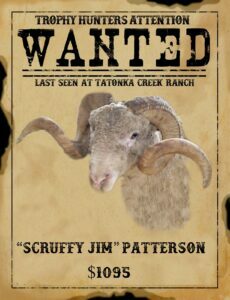 Monster Merino Ram (Scruffy Jim) – Come hunt the newest outlaw on the Most Wanted list…”Scruffy Jim Patterson.” Available now for $1095. 6. 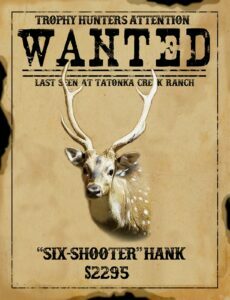 Bargain Axis Buck (Six Shooter) – Great looking Axis Buck in hard antler ready to hunt NOW! We call this bad hombre “Six-Shooter” Hank. Great price on this tall buck! $2295. Book it today! 7. 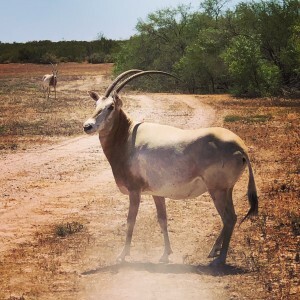 Scimitar Horned Oryx – No need to go to Africa and risk your safety! Only $3295 cause NO ONE beats our prices! !